Dejan Nedelkovski from HowToMechatronics illustrates a DIY vending machine using Arduino platform. The vending machine features four discharging units controlled via four continuous rotation servo motors, a carrier system controlled via stepper motors, an LCD, four buttons for selecting an item and a coin detector. You can watch his build process in the following video. An Arduino powered midi controller project for music makers. This my first arduino (microcontroller) project. I want to learn arduino with a usefull and large project. I decided to make a midi DJ controller that have all the functions needed to be standalone to mix. 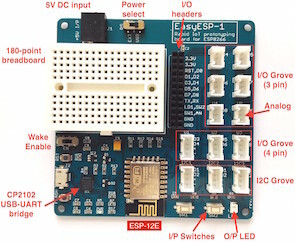 Every kind of sensor (potentiometer, push button,…) can be learn independantly and I think the best way is to learn “how it works” and “how it is connected” for each sensor step by step. A portable pocket Tetris project using ATTiny85 and SSD1306 based OLED screen by dombeef. This project originally was meant as a fathers day gift for my tetris-loving father, and I felt like it should be available for others if they want to make a pretty small tetris clone. This was the smallest I could make it with a big enough battery and a thick durable 3d printed housing. I modified tetris code created by Andy Jackson to be used with 3 buttons, since his original code was made for the AttinyArcade platform that has 2 buttons.